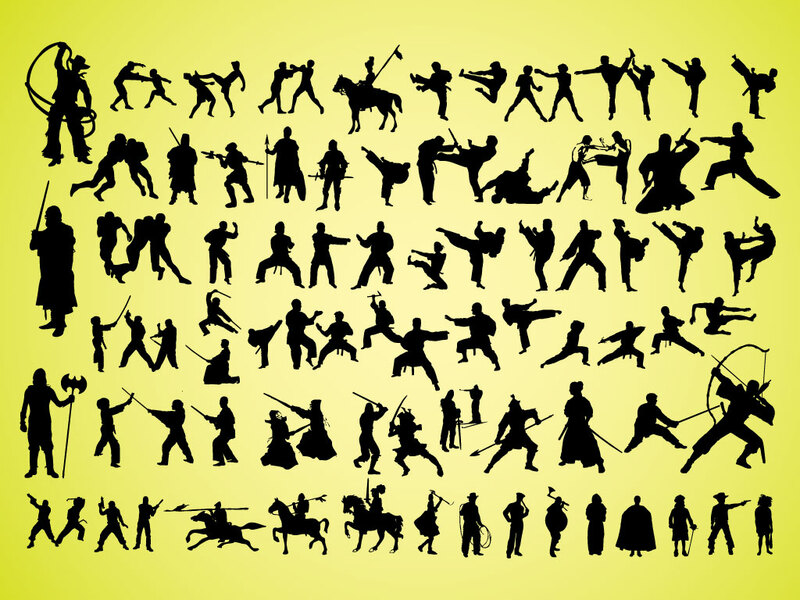 Download this massive set of silhouettes or icons of warriors in many different fighting poses. Cowboys, boxers, knights and martial artists all in one great vector pack. Tags: Boxer, Cowboy, Fighting, Knight, Martial Arts, Police, Silhouettes, Warriors.